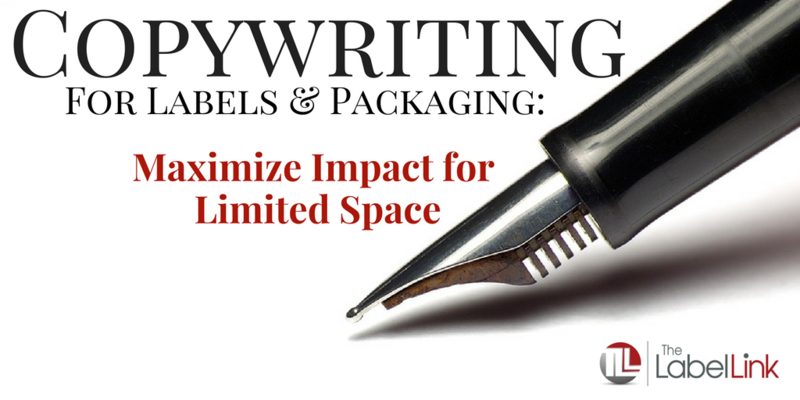 Learn how to incorporate stronger copywriting in your packaging and label design. When you think of packaging and label design, chances are you’re considering colors, images, and finish. How much emphasis are you putting on the verbiage attached to your label? Although the design will catch a buyer’s eye, it’s often the text that’ll get the curious shopper to put your product in her cart. The words you use on your label are important, but with the limited real estate you have to work with, finding the right text can be a challenge. Every word, phrase, or statement has to be poignant and persuasive. So, how do you make an impact when you don’t have a lot of time or space to speak to your potential buyer? Let’s take a look. No matter what you say, if shoppers struggle to read the writing on your label, even the best copy will not do much for you. The font you choose should match your brand and it should be large enough to read at a glance. Crisp fonts can still be playful and fun, if that matches your brand’s image. Crisp fonts can also look fresh and tasty, if you’re selling food products, such as cold pressed juices. Crisp fonts can be retro and vintage, or buttoned up and serious. The goal is to make your font clear so it’s readable. It’s human nature to take the path of least resistance. Reading large blocks of text on a package is daunting. Short quips are fast and easy to digest. Keep your copywriting concise and you’ll keep your audience’s attention. It’s not just sentences that you should keep short. Using shorter words can make your label easier to read too. Remember, you’re not trying to impress anyone with your vocabulary on your label; you’re trying to get shoppers to buy. Make it easy for a shopper to quickly glance over your label and see what it is you’re selling without having to pull out a dictionary. Front Load Statements With Benefits. Back Load With Features. The only question going through your buyer’s mind is, “what’s in it for me?” Answer that question immediately by front loading your sentences with benefits and back loading your writing with features. Answer the question, “why does this matter to me?” before you answer “what is this product?” Doing this will keep your reader’s attention for longer. When a shopper reads your product label, she wants to see herself in what you’re selling. Use the copy on your label to paint a picture for your reader about what her life will look like when she uses your product. Here’s an example for a body wash label. You could write, “Cleans and moisturizes your skin.” Or, you could spruce it up and say, “Leaves your skin feeling grime-free and as soft as the day you were born.” See the difference? One states facts and is boring. The other uses specific examples (grime and baby’s skin) that are instantly relatable. Use specific verbiage to paint a picture whenever possible. This will make the shopper feel like your product was created for her. You eat, breathe, and work in your industry every day. It’s easy to adapt your own language. This language is called jargon. The problem? Your customers don’t speak the same language as you. Jargon doesn’t translate to them in the same way it does to you. To instantly strengthen the copywriting on your label, read through what you have in place and put a line through any term that feels like an industry buzzword. Then, replace it with a term your customer would use to describe your product. This will help you speak your buyer’s language instead of confusing them with your own. Question: What’s your biggest struggle when it comes to copywriting for your labels? The copy for your product labels is just as important as the design. Fitting in the phrases that’ll jump out and make a connection with your buyers isn’t always easy. Focus on being human and relating to your buyers, even on your labels. The better you can do that, the more likely you are to persuade shoppers to buy. Want a little extra help? We’re here for you. Sign up to get our free ebook with design tips that’ll help you sell and save you money in the process.